In my opinion, the hardest part about mountain biking in the cold is leaving a warm house. A wise friend once said if you’re not cold at the start of a winter mountain bike ride, you’re overdressed, which is of little comfort when I’m teetering between go and no go. I don’t like being cold at any point in the ride. 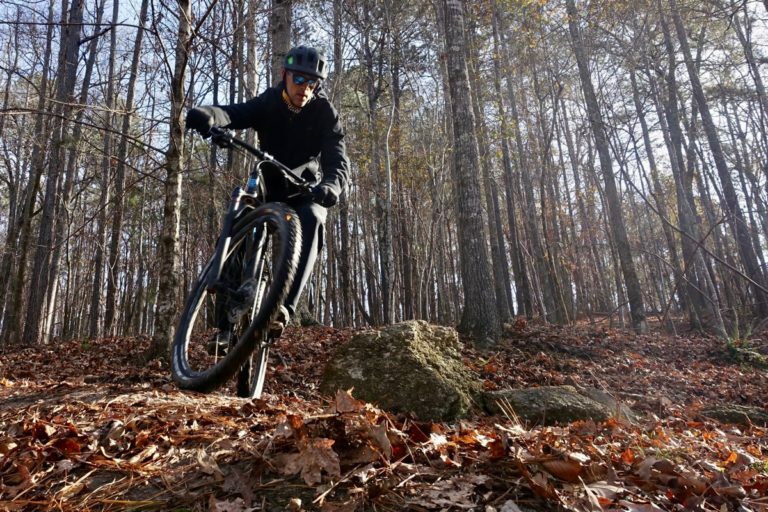 For truly cold days in the saddle, or just comforting reassurance, Pearl Izumi offers the Summit AmFib mountain bike pant. The brand says these are their warmest mountain bike pants designed for tough conditions, and I found them to be a great addition to my winter riding kit. The Summit AmFib pants start with a fairly thick fleece lining inside for incredible warmth, especially once the pedals start turning. 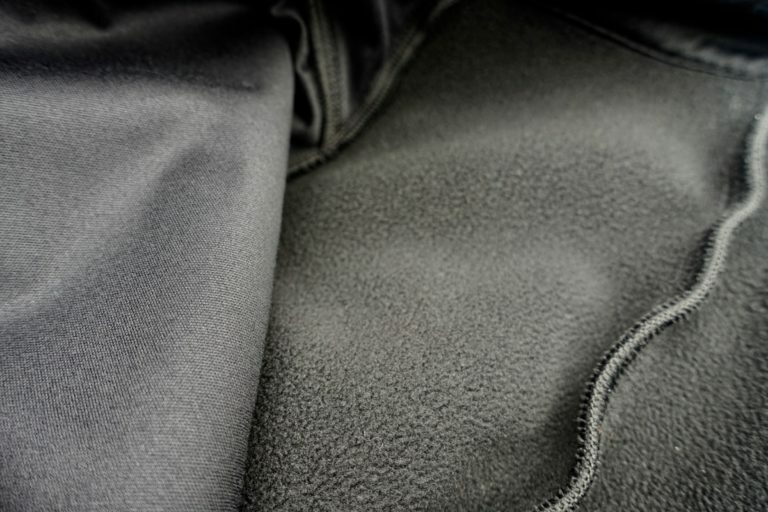 The fleece lining extends to cover the waist, rear, and just above the knees. At the back of the knee, a thinner material is used for improved articulation and also to provide some ventilation. A similarly thin material is also found at the back of the leg at the zippered cuff. On the outside of the AmFib pant, Pearl Izumi adds a DWR coating for water resistance, a key feature when riding in snow or mixed conditions. The outer layer has sort of a neoprene feel to it, and in my testing it’s stood up to scratchy winter twigs and branches along the trail. Pearl Izumi has designed a simple, two-button closure system at the waist that I’ve found to be easy to manipulate with thick, gloved hands. Oversized, hook and loop waist cinchers do a good job dialing in the fit around the waist, and they aren’t too bulky or uncomfortable when paired underneath a hip pack belt. The zippered hand pockets on either side of the pants are good for warming hands or storing keys, and are just the right size for carrying a large smart phone. 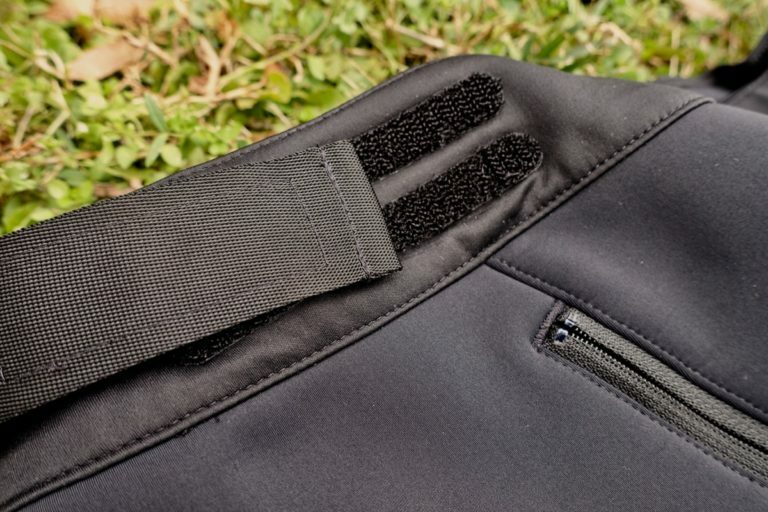 A third zippered pocket farther down the right side offers a bit more carrying capacity. One of the most crucial design aspects for any pair of cycling pants is the cuff. Too wide or flappy, and it’s sure to get sucked into a chain ring. Pearl Izumi has designed the cuffs to be fairly tight around the ankle, with a zipper that makes it easy to get the pants on and off. In fact, the zipper is tall enough that it’s possible to shed the pants over mountain bike shoes as temperatures rise throughout the day. Reflective piping along the leg zippers adds visibility. Cut and fit are equally important when considering cycling pants, and I found the Summit AmFib pants are nicely articulated and allow easy movement on the bike. 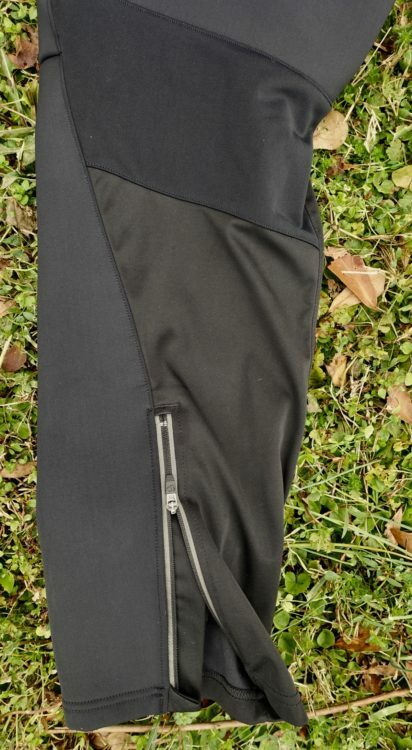 Pearl Izumi says these pants are designed for temperatures between 20-45°F. Based on my experience, I can confirm they are more than warm enough for temperatures in the 20s. Above freezing I found the pants to run hot when I’m riding hard. For riders facing temperatures below the 20s, the roomy Summit AmFib pants can be paired with tights underneath for added warmth. For years my go-to pant choice on the coldest days has been a pair of thermal tights underneath a pair of baggy mountain bike shorts. The AmFib pant takes the place of both. As a tall, 6’3″ rider, I could probably use a bit more length on the inseam. However, this generally isn’t a problem because a) I wear tall, thick socks on winter rides which more than cover my ankles, and b) said socks are black, so they tend to blend. In a blur, you would never know the pants are a little too short. While mountain bike pants like the Summit AmFib might appear bulky, especially compared to tights, I found them to be quite comfortable. As far as my winter kit goes, I see the Pearl Izumi Summit AmFib pants as insurance against any excuses I might make for staying indoors on the coldest days of the year. Thanks to Pearl Izumi for providing the Summit AmFib pants for review.